Pandora has come a long way from being something you only listed to on your work computer. Thanks to smartphones and smarter radios, you've been able to hear it in your car for some time now. That's why Pandora is making ads just for people who listen to the service in their cars. If you're one of those people with a radio that has the app in it, expect to hear ads from Ford, State Farm, BP and Taco Bell in the next year. 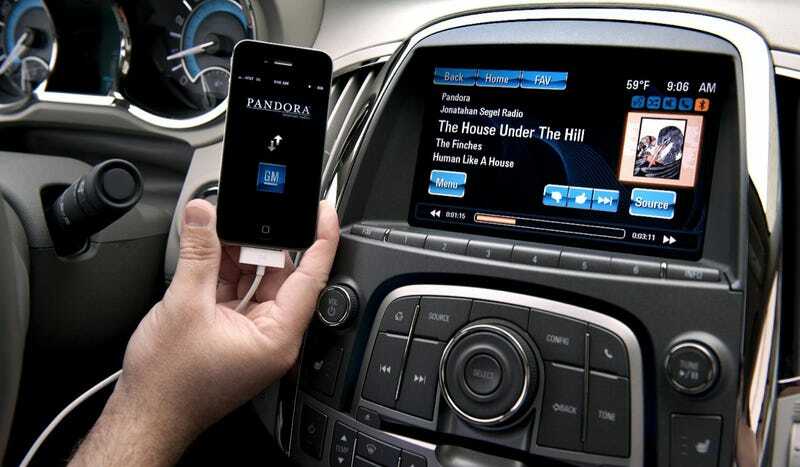 Those are the first companies to do a deal with Pandora's new targeted in-car ads, announced today as part of CES 2014. Pandora's marketing chief told Bloomberg today, "Nearly half of all radio listening takes place in the car." Therefore, there really interested in telling lots of advertisers what you're listening to and for how long. Also, there are more than 4 million cars out there with a Pandora app. Of course, people who subscribe to Pandora One won't hear the ads at all. While it sounds annoying for some people, it's big news for Pandora. It's also helped boost their stock today by 15 percent so far. So, get used to Taco Bell ads in your car.